Josh Duhamel is about to trade his military uniform for a superhero costume as the cast of the Mark Miller/Frank Quietly comic book adaptation Jupiter’s Legacy has been announced. The series is set to premiere on Netflix with Smallville and Spartacus’s Steven S. DeKnight at the helm. Transformers alum Duhamel joins the likes of Iron Man’s Leslie Bibb and The Clone Wars’ Matt Lantern, just to name a few. I’m particularly excited about the latter, as I’ve been following his career since The Clone Wars and 90210. To now have the likes of Duhamel and Bibb join the cast is nothing but a boon to this project. Unlike other superhero epics at DC and Marvel that have been around since the early 20th century, Jupiter’s Legacy represents a chance to create an all-new superhero mythology for this generation. While perhaps Robert Kirkman’s Invincible fits that bill, particularly with the new animated series coming to Amazon, I’d say Millar is more in that mold, as Kirkman is arguably more well-known for The Walking Dead now. For Millar, the adaptation of Jupiter’s Legacy represents the culmination of a dream he’s had since his stalled Miracle Park feature. Throughout his career, Millar has always tried to create new, bold takes on the superhero genre, whether it’s Superior, Nemesis or the aforementioned Miracle Park. I remember when he first announced a twelve-issue hero epic with Frank Quietly he claimed would be a very different kind of take on the genre. While many people refer to Millar as a great hype man and not much else, I can’t help but get excited whenever he talks up a project. 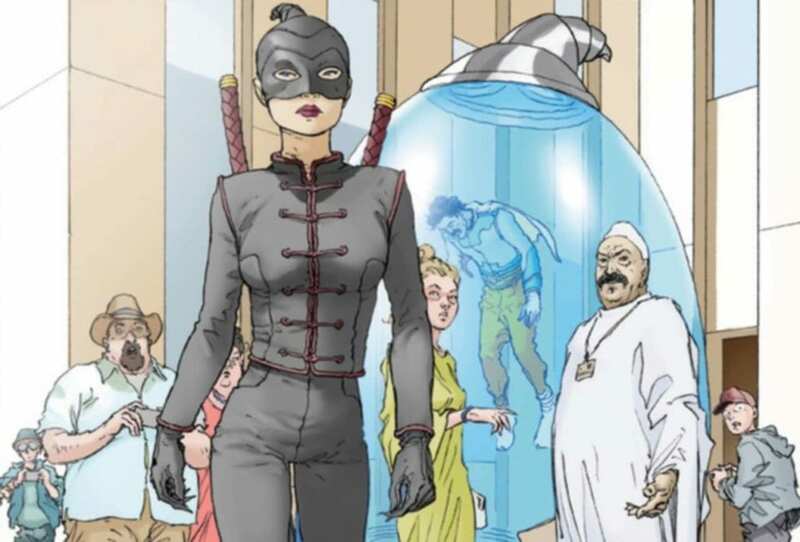 I’m really eager to see Jupiter’s Legacy come to the screen, and I can’t wait to see what else from Millar’s world the Netflix partnership brings us. Are you excited for Jupiter’s Legacy? Let us know in the comments and stay tuned to Geeks + Gamers for all your Millar world news!